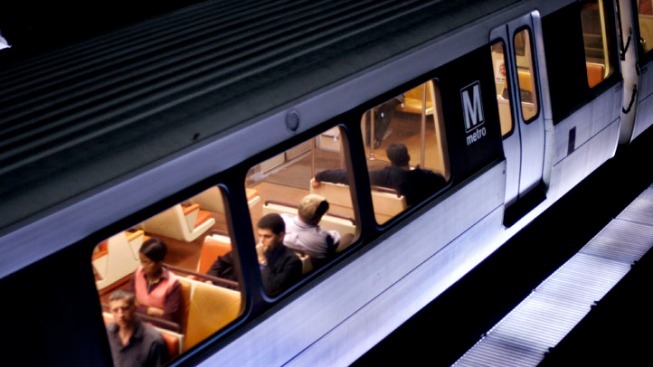 Metro says weekend work will largely affect riders on the Red and Orange lines. Red Line trains will operate every 16 minutes, with extra trains between the Grosvenor and NoMa-Gallaudet stations from 9 a.m. to 9 p.m. Saturday and Sunday. On the Orange Line, trains will run at regular weekend intervals, except at the following stations, where trains will arrive and depart about every 20 minutes: Minnesota Avenue, Deanwood, Cheverly, Landover and New Carrollton. The Green Line's Greenbelt station will be closed, with free shuttle buses to the College Park station. Blue Line trains will run at regular weekend intervals, except Saturday at the Franconia-Springfield station, where trains will arrive and depart about every 20 minutes. Trains on the Silver and Yellow lines will have regular weekend service.